Spectacular Bruny Island is a feast for the senses. This day tour explores the incredible natural beauty, food and wildlife of the locals’ favourite island. Spectacular Bruny Island cannot be missed. After a short ferry ride from the Tasmanian mainland, a private tasting at Bruny Island Cheese Company begins our island adventure. We move on to the Neck Lookout in the centre of the island, with incredible 360 degree views. We’ll try to spot Bruny’s famous white wallabies and watch the surf roll in. Adventure Bay provides a beautiful place to have lunch and offers a choice of afternoon activities. Choose the beautiful (but challenging!) 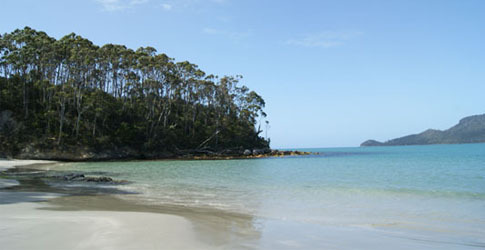 Fluted Cape Walk, the easy Grass Point walk or the award winning Bruny Island Cruise (extra cost). Local oysters can be purchased on our drive back to the ferry. ALL DEPARTURES GUARANTEED. CLICK TO CHECK AVAILABILITY! 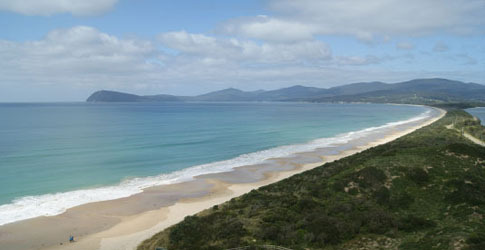 Just a short ferry ride from the Tasmanian mainland, spectacular Bruny Island cannot be missed. A private tasting at Bruny Island Cheese begins our island adventure. We move on to the Neck Lookout in the centre of the island, with incredible 360 degree views. We’ll try to spot Bruny’s famous white wallabies and watch the surf roll in. Adventure Bay offers a choice between an award winning Bruny Island Cruise (extra cost) or the beautiful Fluted Cape walk. Local oysters can be purchased on our drive back to the ferry. Return to Hobart by 5:00-6:30pm (ferry dependent). 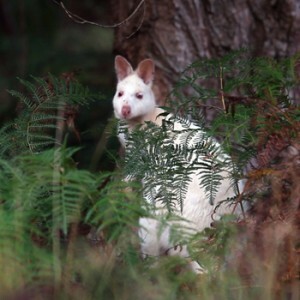 Our Tasmania tours start in Hobart and Launceston. Days of departure vary through the year, check the tour page to work out which departure is right for you. Yes that is the easiest way to do it. Stay in Hobart or Launceston the night before the tour and we can arrange a pickup at your accommodation or nearby. If you must fly in on the day the tour begins we may be able to organise a special airport transfer to allow you to join the tour that day, this costs extra is only possible for flights arriving before 8:30am. CAN I FLY OUT OF TASMANIA ON THE FINAL DAY OF MY TOUR? Yes, for tours ending on Friday or Sunday any flight departing at 7:30pm or later from Hobart is OK. If your tour ends on Wednesday, it is only possible to fly out of Launceston, with a flight departing at 6:30pm or later. Airport dropoff can be organised at extra cost. WHAT'S THE WEATHER LIKE IN TASMANIA? That depends on where you are! First of all, it’s not that cold! It only snows on high mountains in winter, never in the cities and towns. The east coast is the dry, sunny, warm side of the island. Annual rainfall in the east is 600mm - less than half the annual rainfall in Sydney. Daily maximum temperatures in summer (December to February) are between +20 to +30 degrees celsius. In winter (June to August) daily maximums are between +12 to +18 degrees celsius. The west coast is mountains, rainforest and untouched wilderness. Annual rainfall in the west is 2000mm, helping to create the stunning wilderness of Cradle Mountain, Lake St Clair & Mount Field. Daily maximum temperatures in summer are between +18 to +25 degrees celsius. In winter the mountains look spectacular with snow on top and daily maximums are between +5 to +15 degrees celsius. No, to help ensure that our tours remain the most affordable in Tasmania we leave food choices up to you. Dinner time gives you the opportunity to try local restaurants or if you’d like to cook your own, cooking facilities are available at all of our accommodation. DO I NEED TO PAY FOR MY TRIP IN FULL AT THE TIME OF BOOKING? Yes, our tours are very popular due to their great features and low cost, so we can only reserve seats once we’ve received payment in full. As our Lap of Tassie and Tassie MAX tours start and finish in the same place, we’d appreciate it if you can minimise luggage by leaving some of it in your hostel/hotel in Hobart or Launceston, bringing only those things you need for the tour. Most hostels and hotels in Tasmania offer storage facilities. Please limit the luggage you bring on tour to one backpack or suitcase (maximum 20kg) and one day pack or handbag per person. ARE THERE ANY EXTRA CHARGES I WILL HAVE TO PAY? No! Unlike other companies we do not charge extra for national park fees or fuel surcharges! We offer some optional extra activities that cost extra, you can choose to participate in these or not. Seriously guys, our tours are already hundreds of dollars less than other Tasmanian tours, because we’ve created them to be an excellent low cost option for everyone. We live on an island and that makes all our costs higher than they are in Sydney and Melbourne, but we work very hard to keep our prices as low as possible! Pickups from 7:30AM, return by 6:30PM. Bruny Island Day Tour. 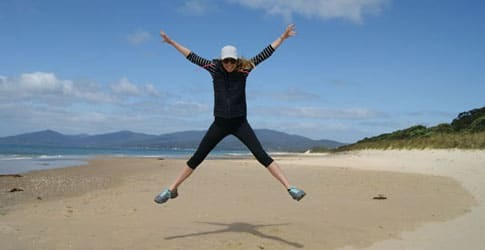 This tour takes you south of Hobart to explore the beautiful Bruny Island’s landscape, food, attractions and activities. BOOK HERE FOR INSTANT CONFIRMATION OR PHONE 03 6288 7030.